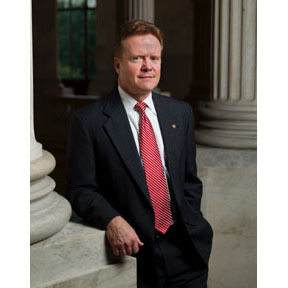 Democratic Party presidential hopeful Jim Webb has some pointed advice for President Obama with China President Xi Jinping beginning a U.S. visit that will include a presidential summit later this week. “The United States President has an obligation to speak directly to the threats of the behavior of China’s unelected, autocratic government. It is paramount that President Obama deal strongly with China. This visit is an opportunity that must be seized to do that face-to-face,” Webb wrote in a Facebook post published today. China has embarked on a campaign in recent months to build manmade islands in the South China Sea, outfitting the artificial islands in international waters with military facilities including runways, surveillance towers and artillery. “China’s dangerous military expansion in the South China Sea and its ongoing cyber-war against millions of American people here at home must be addressed now,” Webb wrote.